When traveler’s think to visit India, you naturally think forts and palaces. It’s quite natural then, that these architectural wonders have featured in myriad documentaries, movies and photos, and remain the go-to destinations to include in your India travel plans! India’s conundrum and charisma has for centuries mesmerized the imagination of infinite artists, literati, poets, philosophers and scientists. A treasure trove of rich history, India has plenty for everyone. One of the most interesting ways to glimpse India is by visiting her countless old forts and monuments, depicting her regal past – resonant of valor, romance, chivalry and intrigue. Definitely high on the must see list during your private tour of India! There are many forts in North India of varied sizes, most of which were constructed as defense mechanisms to keep enemies at bay. Several forts feature exquisite carvings that live on till today. Rajasthan boasts the maximum number of forts, while Karnataka and Madhya Pradesh follow in tow. 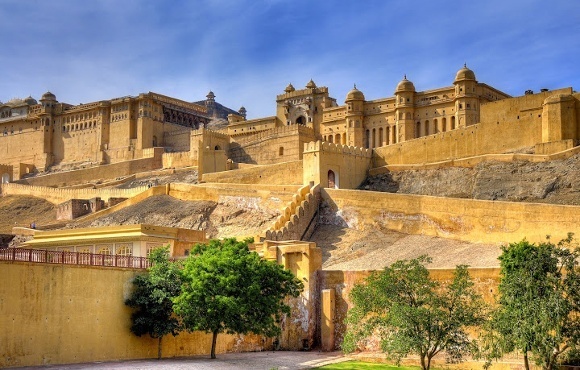 Our choice of India’s top 10 most iconic forts deserve mention, telling tales of her royal past with not just stunning visuals, but also with an eerily resonating aura from within her walls! Agra Fort lies merely 2kms from the often overshadowed world famous monument, the Taj Mahal in Agra. This UNESCO World Heritage Site is one of India’s finest Mughal forts. Built by Emperor Shah Jahan (of Taj Mahal fame), this 16th century red sandstone fortress houses palaces, mosques and halls. 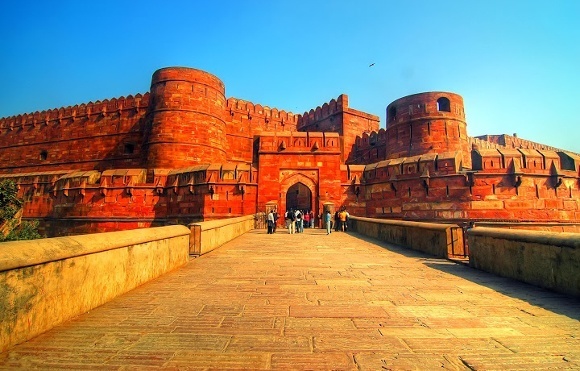 The Agra Fort is a must-see on your luxury Asia tours. 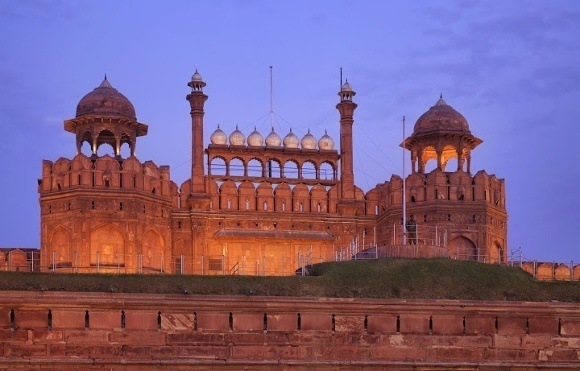 Lying along the Holy Yamuna River, the Red Fort or Lal Quila in Delhi, built by Emperor Shah Jahan, is reminiscent of Mughal-era Delhi, conjuring images of royal armies, imperial elephants, palanquins carrying court ladies, and other royal visions. A UNESCO World Heritage Site, the Red Fort named for its thick red sandstone walls, encompasses the Moti Masjid mosque; Diwan-i-Aam (Hall of Audience); Rang Mahal (Palace of Colors); an archaeological museum and a war memorial. 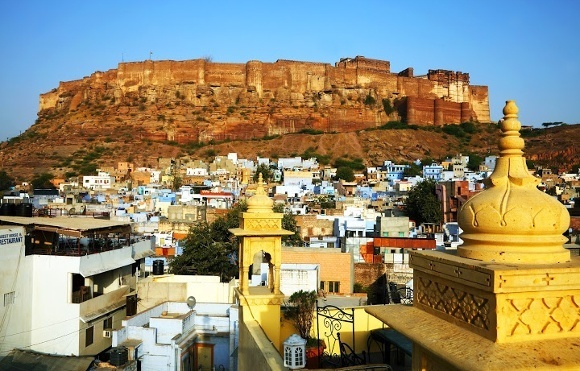 Meharangarh Fort of Jodhpur is over 500 year old and perched 400 feet above the city on a perpendicular cliff. It is perhaps one of India’s largest and most magnificent forts. Brilliantly crafted palaces like Moti Mahal and Sheesha Mahal are found within. Seven gates depict the victory of each Maharaja. Its bewitching beauty is both imposing and invincible. Settled atop rugged hills on Jaipur’s edge, the Amber Fort in Jaipur features an intriguing mix of Hindu and Mughal architecture. 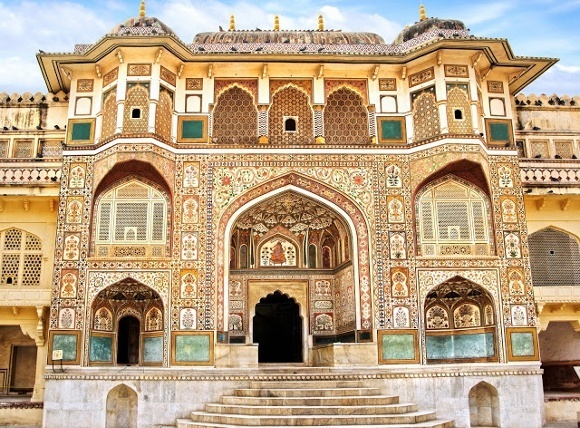 The fort complex includes the Diwan-i-Am (pillared hall), Ganesh Pol (two-tiered painted gateway), and Sheesh Mahal – the brilliant palace of mirrors having walls inlaid with exquisite mirrors. The uphill elephant ride to the fort’s main entrance is a highlight during your luxury Asia tours. 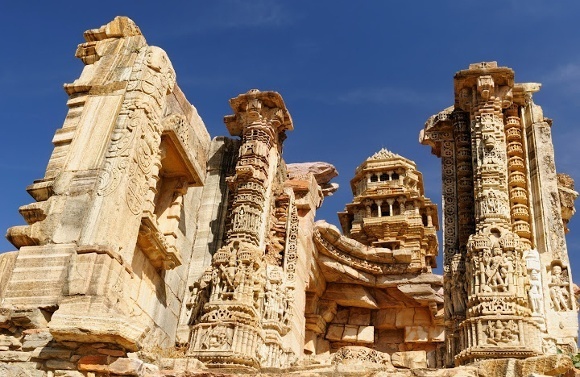 Protruding like a mega rock island above the plains, Chittorgarh Fort in Chittorgarh is the largest Indian fort six km long, surrounded by 150 m cliffs on all sides and with astounding stone buildings. 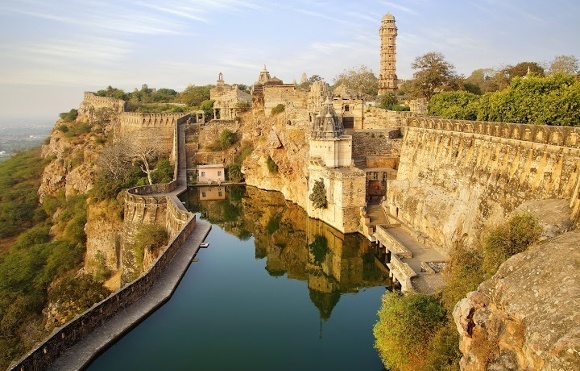 Chittorgarh Fort is also called the Water Fort, as it once housed 84 water bodies of which 22 remain today. 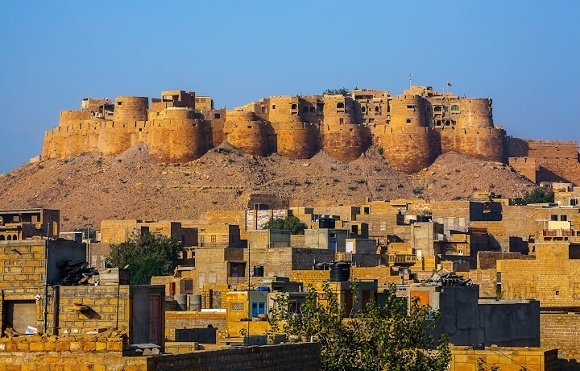 Appearing loftily from the midst of the Great Thar Desert’s sandy terrain, Jaisalmer Fort or Sona Quila or Golden Fort in Jaisalmer is one of the world’s largest forts. Merging effortlessly with the setting sun and slivers of golden desert hues, the fort sits on the triangular shaped Trikuta hill, 76 m above Jaisalmer. Don’t miss the Jain temples, royal palaces and big gates are housed within, during your luxury Asia tours. 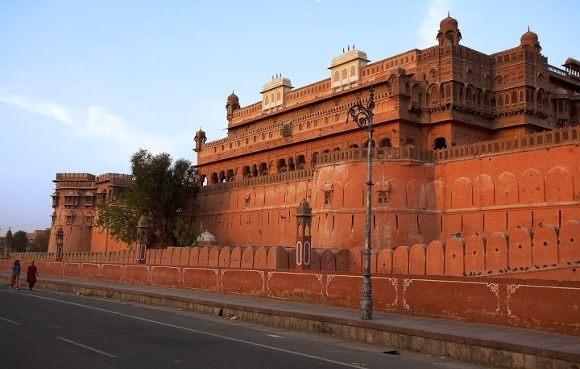 Junagarh Fort in Bikaner doesn’t enjoy a hilltop location unlike its other Rajasthani counterparts, although no less commanding. Illustrating unique cultural composites, this post medieval fort blends sixteenth century Rajput styles with Mughal and Gujarati designs, and showcases the rarest lacquer works. Paintings, stucco’s and inlay works reflect Mughal styles, while mosaics and lattices reflect Gujarati influences. 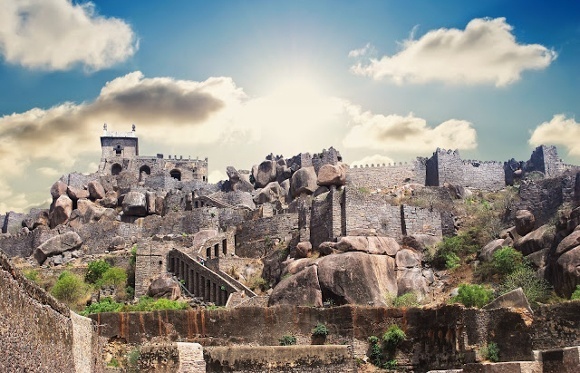 The imposing Golconda Fort in Hyderabad is known for its rich history, enthralls with infinite tales of chivalry. Golconda was once renowned for its magnificent diamonds. The fort is famous for its military architecture, replete with beautiful palaces and ancient weaponry. 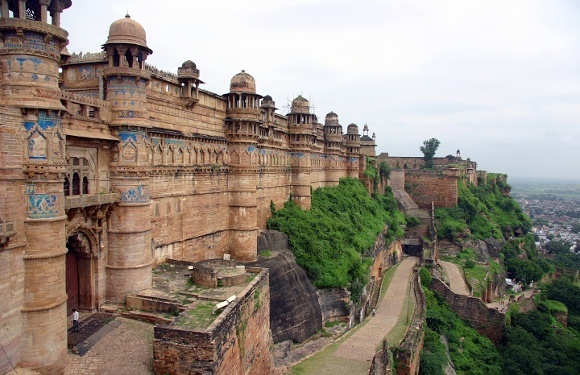 An enormously imposing monument, the Gwalior Fort in Gwalior sits atop a precipitous sandstone mass dominating the city. One of the biggest Indian hilltop forts, it has stood silent testimony to many historic battles…a postage stamp has been issued commemorating its importance, which you can buy anywhere during your luxury Asia tours. Highlights include Sas-Bahu temple, Gujari Mahal (now a museum), Man Mandir, stepwells and pools. 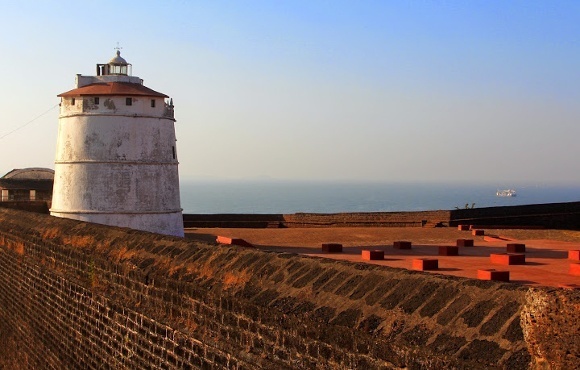 Overlooking the Mandovi River estuary, Fort Aguada with its lighthouse is a seventeenth-century fort – the largest, best-preserved Portuguese bastion in Goa. With walls measuring five m high and 1.3 m wide, the fort was built in 1609 to control entry into the Mandovi river and to protect Old Goa from enemy incursions. Offering panoramic views of the Arabian Sea and amazing romantic sunsets, it’s little wonder then that this fort has been the setting for several Indian movies. If travel is your passion and history your inclination, then why not pick India to relive her glorious past? Get in touch with us at Enchanting Travels, and we will weave a trail of history, mystique and valor to capture your senses and leave you smitten! Hello, Thanks for sharing such a fantastic blog. I really appreciate your blog to share information about India… Visiting in India is an amazing experience.